Charles Martin & Son Roofing is a family owned and operated company with Christian based values. Charles Martin is a second generation roofer with over 15 years of experience. We are a full service commercial and residential roofing company. We build relationships based on trust and integrity. Our goal is to provide you with the highest quality workmanship and excellent customer service that is consistent with the premium products we sell, service, and install. We are insurance claim specialists who work on the homeowner’s behalf with their insurance and mortgage company throughout the entire claim process from start to finish. All jobs are personally supervised by direct 24 hr communication with owner. Daily clean up performed by our crews. Ridge Vent extended to the end of all horizontal peaks for added ventilation and a more uniformed look. Open 'W' valleys for a better appearance and water runoff. 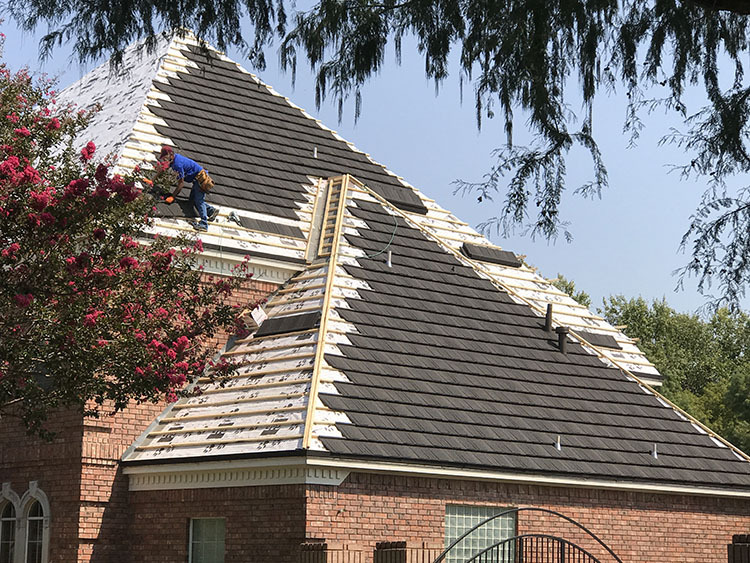 High Defination Z Ridge and shingles for an aestheticlly dimensional apperance instead of 3 Tab Ridge and Shingles with flat features and no dimension. Hand driven nails are used to ensure a stronger installed shingle. 30 lb felt is used instead of the typically used 15 lb felt.